Chicago was inducted into the 2016 Rock and Roll Hall of Fame! This was their first nomination. They’ve been eligible since 1994. A long time coming! 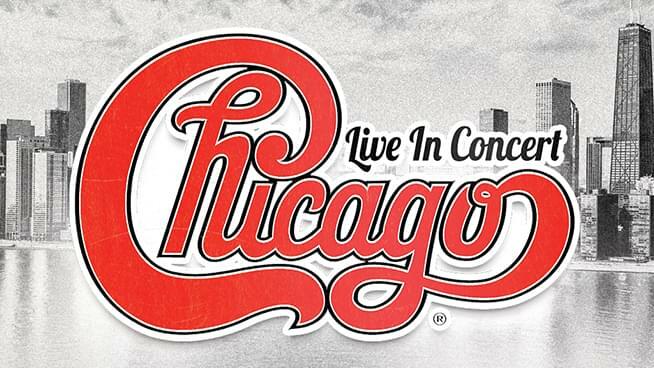 Chicago’s first album, Chicago Transit Authority, was inducted into the GRAMMY Hall Of Fame in 2014, and the band performed on the Grammy stage for the first time that year. Robert Lamm and James Pankow have become the latest inductees of the Songwriters Hall of Fame in 2017. These legendary songwriters wrote mega-hits such as, “25 or 6 to 4,” “Saturday In The Park,” “Feelin’ Stronger Every Day,” “Make Me Smile,” and many others. Earlier that month the documentary was the runner-up for Audience Award at the Sarasota Film Festival. Chicago’s newest record of new studio tracks, “NOW” CHICAGO XXXVI, was released on Frontiers Records. It includes eleven brand new songs, recorded on the road. Chicago has built a new recording system that is flexible, portable, powerful and musical. This new “recording rig” travels with the band. They have even created an online collaboration portal that allows even more performances to be worked on around the clock from remote locations. The CD package is a six-panel digipack with a beautiful 16-page full color lyric booklet. Chicago’s lifetime achievements include two Grammy Awards, two American Music Awards, Founding Artists of the John F. Kennedy Center for the Performing Arts, a star on the Hollywood Walk of Fame, a Chicago street dedicated in their honor, and keys to and proclamations from an impressive list of US cities. Record sales top the 100,000,000 mark, and include 21 Top 10 singles, 5 consecutive Number One albums, 11 Number One singles and 5 Gold singles. An incredible 25 of their 36 albums have been certified platinum, and the band has a total of 47 gold and platinum awards. To buy tickets click HERE! To win tickets listen to the Majic Morning Show all week!